As the final days of 2014 are winding down, and the year comes to a close it leads me on a reflection trip. What all did I accomplish this glorious year, and where will it lead me in 2015? The year started with a fun trip to Charleston, SC with my friend Paula. My first marathon of the year completed in the cold and windy weather off the Atlantic Ocean. 3:47:58 final time. A few weeks later a trip to see Mom, and run the Hilton Head Marathon. My finish time of 3:54:00 was disappointing to me that day. Not sure why, just not a great race for me. I do believe I will return in 2015 for revenge. In March, I again took a trek to the beach. This time Wrightsville Beach, in North Carolina. First time running there, and again, bored with the flat course, I put up a time of 3:51:08. Not my best, and not a fun day. April, my birthday marathon. Rock ‘n’ Roll Raleigh, here at home. Majorly difficult course, hills and lack of hydration on the course during a warm day led me to a 3:55:40 finish, my slowest marathon of the year. It was my birthday though, so it was incredible. I also ran the Tar Heel 10 Miler two weeks later. That was a great race, with a stadium finish. Finish time of 1:18:01. May took me to the inaugural All American Marathon about an hour from home. 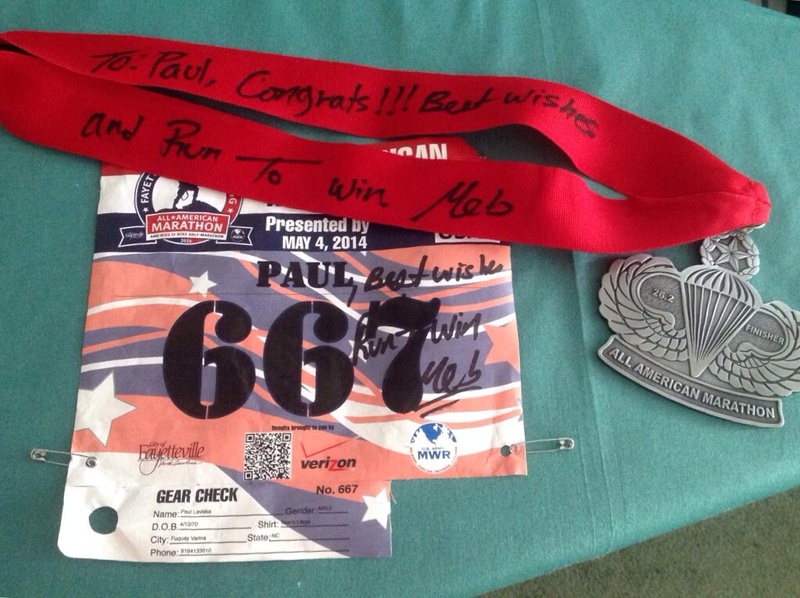 An inspiring, amazing race which I will return to run again in 2015. Finish time of 3:52:25 for my fifth marathon of the year. 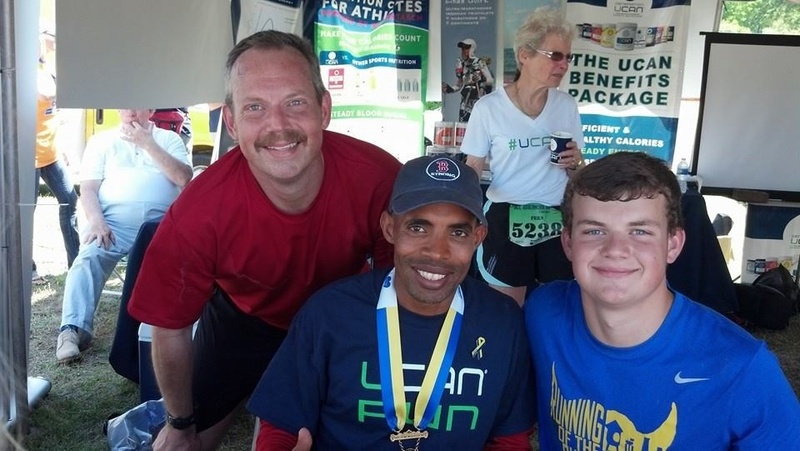 No complaints, plus I got to meet Meb at the finish. What a great day! In June, I ran a double. The 15 Quay Challenge. First a 10k race, followed by a 5k race a half hour later. I ran the 10k at 7:47 pace, followed by the 5k at 7:38 pace. Quite satisfying, and run with my son. That was it for racing until September. The Summer was filled with training for Fall. Heat filled training, lots of miles. It was a great Summer. A week long stretch in September included two amazing trips. First to Salt Lake City, Utah for the Big Cottonwood Marathon. Finish time of 3:41:59, my second fastest in 2014. A week later I got in the car and drove to Tennessee for the inaugural Great a Smoky Mountains Half Marathon. A beautiful, awesome event, with a lackluster finish of 1:51:48. One of my worst performances in a half, but very enjoyable getaway. October was packed with racing! I mean packed! Chock full. A Half in 10/5 in which I paced the 2 hour group to strong finishes. 1:58:45 finish time. Then on to Chicago a week later, and one of the best weekends of the year, and probably one of the most fun weekends of my life! It was incredible. It was also my best marathon of the year, finishing in 3:41:04. I want to go back every year from here on out! Let’s hope the lottery works for me again in 2015. Six days later was marathon #8 for the year in Greensboro, NC. Fantastically difficult just six days after Chicago. Hilly, tough course and a finish time of 3:53:42. The following week another Half for Halloween. 1:47:01 and spooky good fun. Then on to November and my final race of the year. The City of Oaks Half with my kids. A 1:43:58 crossing the line with a big smile on my face, and turning to watch my two sons finish. Amazing day! Amazing racing year! 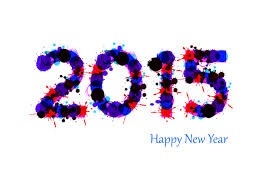 I can only hope that 2015 brings me the same happiness and success on the road. The only thing that could make it better would be to BQ. All in good time though. 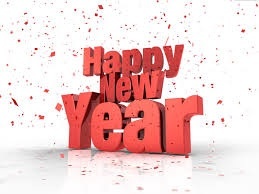 Wishing all of you a Happy New Running Year! Give it your all! Only four days remain until current pricing for the Revel Rockies Marathon & Half on July 19, 2015 goes up $10. Currently you can register for the Full for $99.99, and the Half for $79.99, but only until the end of the year. Since I will be there going for a BQ, and also crossing off another state on my 50 state quest, I figured why not create a team so that others that join can save some money, as well. So, in addition to beating the price increase, you can save $10 by joining my team, “Running Down a Dream”. We don’t have to run together, just have fun, and save money. If enough runners join my team, we also get a free personalized team shirt, and free team photos at the finish. 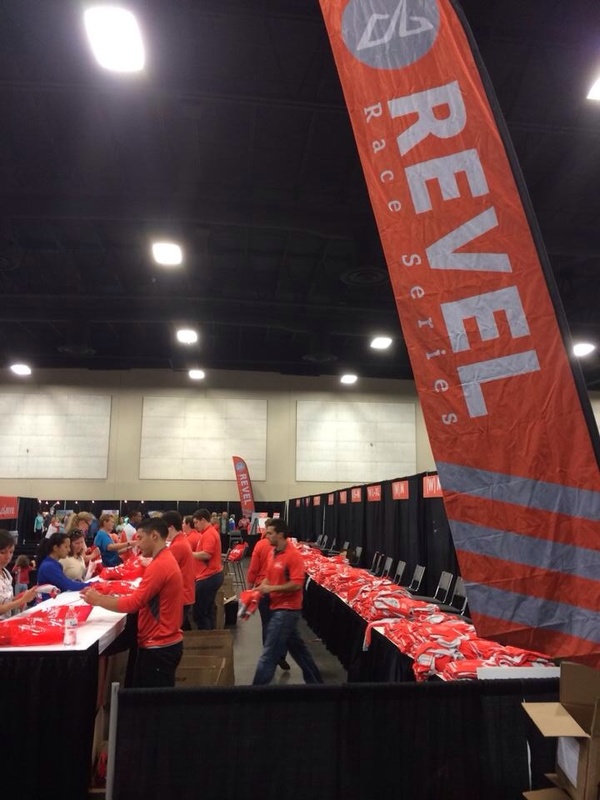 Check out @RunRevel on Twitter, and visit their website for additional details. Hope to see you in the Rockies! 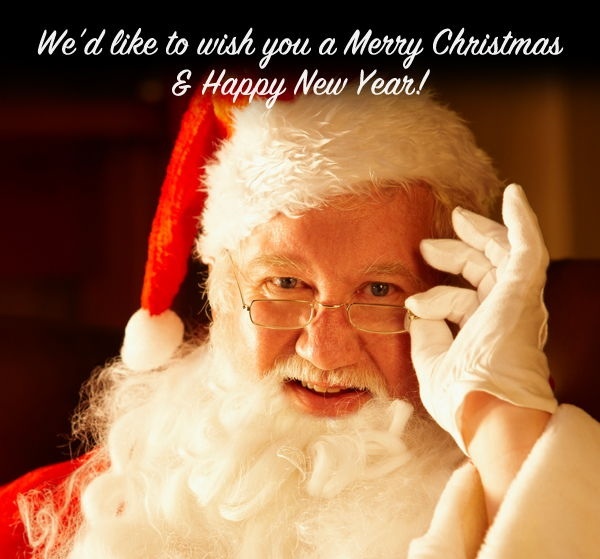 The holidays are upon us, and I wanted to make sure to send a very special wish for peace this season to all of you. No matter what you believe in or what religion you practice, take the time to enjoy the season with your friends and family and remember what is important to you in life. If you happen to have been good this year, you may have a present or two under the tree. 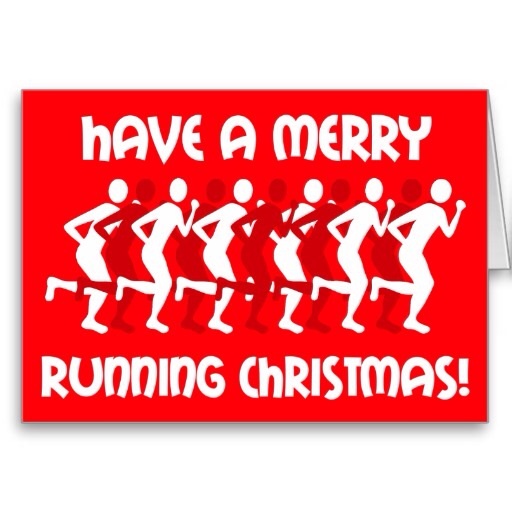 The runner in us all hopes you get some new shoes, shorts or tech shirts. Some new socks, a Garmin, maybe a race entry. I hope the New Year brings you a shiny new PR! Happy Holidays from our house to yours, wherever you may be on the map. See you on the road! December Update -Health? Wealth? Wise? Just a quick update today, as today is my last day off until Christmas. So little time left before the big day, and so much to do. I actually just wrapped the first gift, of the many I have in the pile to do today. That alone is an accomplishment just days before Christmas. I am no a big preparer for the holiday, and never have things like shopping and wrapping done early. I always have good intentions, but it never happens. December is a time to celebrate our blessings, but let me tell you, This December has also been filled with curses for me. I started to get sick two weeks ago yesterday, and remain ill. Finally getting better, but it has indeed been a huge struggle. I thought I was on the mend about a week into my illness, but then it took a terrible turn for the worse which put me in Urgent Care this week. I finally got a diagnosis of pneumonia, and sinus infection coupled with bronchitis. Don’t you know I have felt great over the past two weeks? Yep, not really. It has been one of the worst sicknesses I have ever had, and during the month of December when work is at it’s peak in physical demands, it has been really hard. 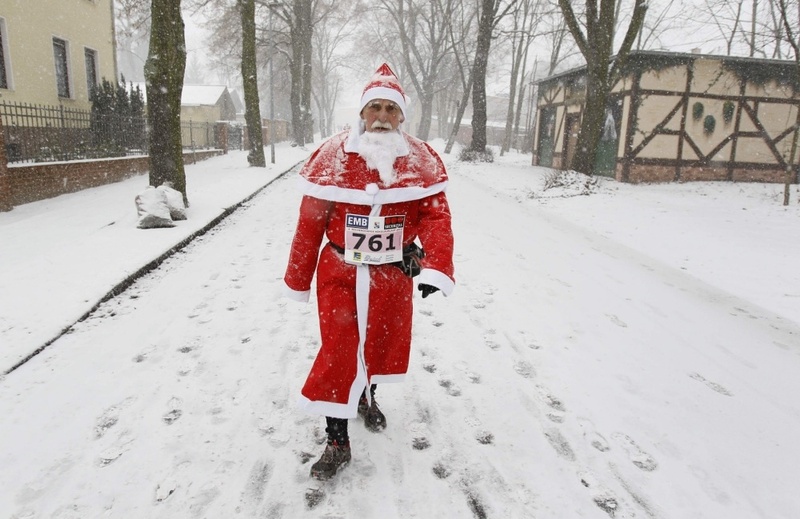 Obviously it has impacted my December running goals, and have only been out on the pavement seven times. Racking up about 30 miles doesn’t really cut it when it comes to trying to regain my fitness and move toward that first marathon on 2015 in Feveuary. I remain confident though in my ability to bounce back, and definitely have experience on my side when it comes to training. So, it has been a rough month health wise. Wealthy and wise? I am surely not wealthy, but have had the opportunity to fine tune some creative skills this past month. 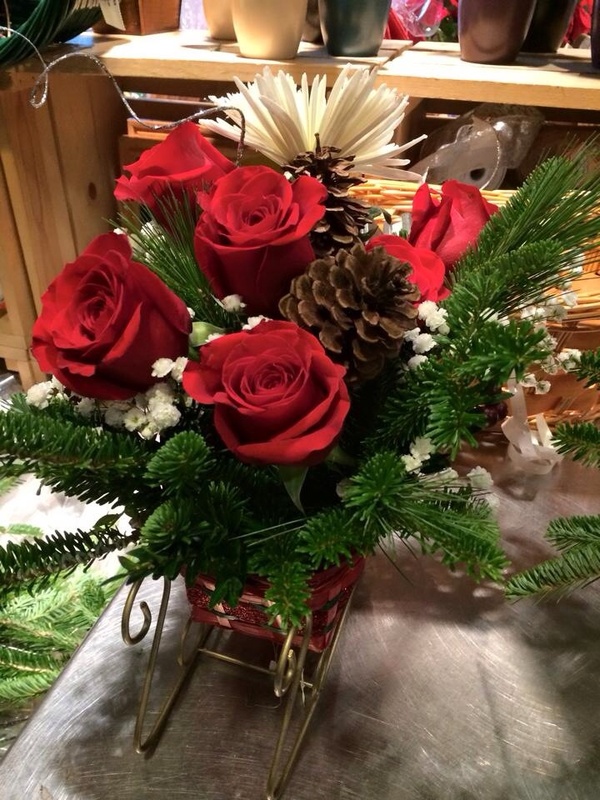 No judgements here please, but I am going to share a few photos with you of some of my creations. I work in an environment where a multitude of skills are required at times. Being in management, if someone on my team is out of commission, I need to step up to the plate and get his or her job done. Look at some of the things I had to create over the past few weeks. 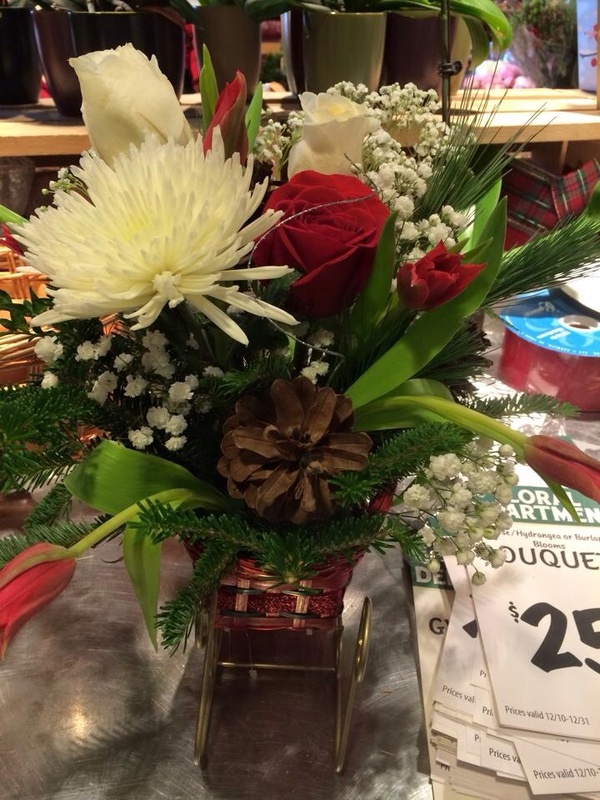 Floral arrangements are not my forte. 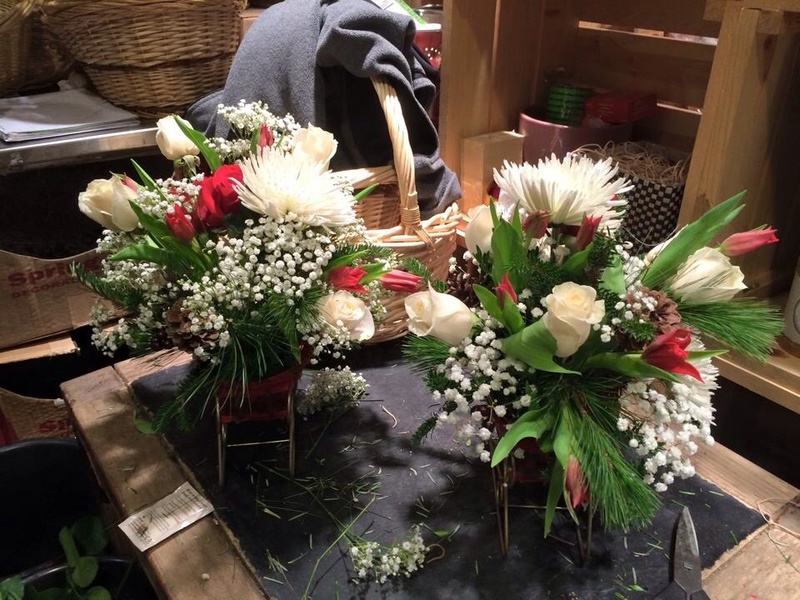 Again, these were created out of necessity for customer orders. All of the work is my own, and it made me proud to have completely satisfied customers. Being able to show a creative side at work has been a huge plus on the wealth side this month. Not monetarily, but self satisfaction. As far as being wise? As we head into a new year, I can say that yes, I have grown. I have become more wise at work, dealing with staff and customers. I have become a better friend, manager, brother, father and son. I am better at maintaining relationships, through all life lessons learned. I reflect more, and give myself time to think before reacting. A lot of this I have learned through running. I have learned these lessons about running, and during my runs. Running gives me a lot of time to reflect, to contemplate, to relax. It is a soothing activity for my soul, and I believe that I am a better person all around because of it. My passion for running has certainly had amazing positive impacts on my life that go way beyond the medal placed around my neck at the finish line. For this I am forever grateful and wiser for. Many of you know that I live in the gently rolling region of central North Carolina. We are not flat, but we certainly are not hilly either. This is a generally rolling place on the map, between the Atlantic Ocean to the east and the mountains to the west. I live about an equal distance inbetween the two. I guess because I grew up in the foothills of the Adirondack Mountains in NY, my affinity for the mountains has continued well after leaving that area almost 20 years ago. Although I don’t get out to western NC a whole lot, I do love it. It’s peaceful, and laid back. Much slower of a living out there than it is here. I love relaxing in a mountain rental, taking in the sights and sounds, going for hikes and of course running. If you are an avid reader of my blog, you know I have chosen several marathons to run in the challenging environment of the mountains. I’ve run the Asheville Marathon at Biltmore Estate, the Asheville City Marathon, the Blue Ridge Marathon in Virginia, and most recently Big Cottonwood Marathon in Utah, and the Great Smoky Mountain Half in Tennessee. Even though mountain races are a lot tougher than flat races, I really prefer them for the beauty and challenge of the varying terrain and elevation. Where am I going with this? Well, two big surprises came my way recently and I wanted to share them now. As my goals and plans for 2015 take shape, deciding between a plethora of races is always a challenge. I love adding new races into the mix, and, well, running favorites again. I will be heading back to Asheville in March to run the Biltmore race. Not the marathon this time around, but the Half. I have been chosen to be the Pace Leader for the 1:45:00 group in the Half. I have paced several Half Marathons and love it. This opportunity is a welcome one, and I will be more than happy to have anyone join my group, as you run for a new PR. My second mountainous surprise is that I am now registered and ready to take on a new challenge and new marathon in May. 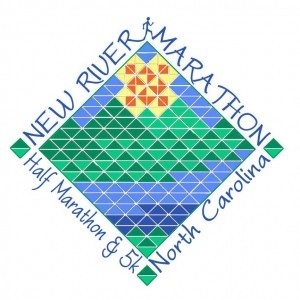 The name of the race is actually the New River Marathon. It takes place on May 2, 2015 in the area around the New River in Todd, NC. It’s a small, homegrown event gaining popularity. I’ve had it on my radar for two years now, and the timing finally works out. 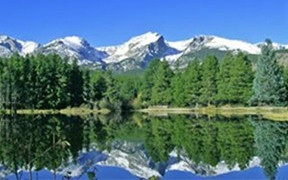 I will head to the mountains for a two to three day retreat and run a marathon, too. Do you know how thrilled this makes me? How do you feel about running hills? Mountains? Do you prefer flat race courses? Do you shy away from races that may be tougher because of the elevation changes? I love a mountainous challenge, and cannot wait for these two big events on my 2015 race calendar. 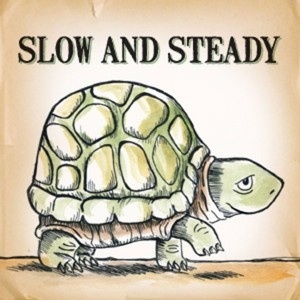 Does “Slow and Steady” really win the race? As you know I have been in race season recovery mode. It’s been like six weeks now, and I really feel like it has done my body good. I’ve racked up very few miles in weeks, and although I feel like my body is recovering from the eight marathons and numerous other races in 2014, I am starting to feel that general malaise set in when it comes to getting my runs in. Does this ever happen to you? I’m trying to help myself, and yet I feel like I am being lazy. I guess it cannot be helped. In addition to having a lack of desire set in due to the cold, dark season I’ve had a severe head cold for eleven days now which hasn’t helped matters. When I do get out and run a few miles I’ve been hampered by difficulty breathing and general tiredness. It’s funny that I am hardly ever sick, but have been sick a good bit of the time I have been in recovery mode. I think it’s related. I know that based on previous years letting my legs and feet have a rest is critical to starting out a new race cycle with a clean bill. I’m just getting antsy. It’s like a long, drawn out taper, and I don’t like it at all. At least at the end of a taper though is a big race to look forward to. I’m still seven weeks away from a major race. Maybe this is all just race withdrawal. Maybe it’s a combination of seasonal affective disorder, recovery and illness, but I want to feel good again. I want the desire to come back, the NEED to get back out on the road. All in good time, I guess. Slow and steady, I am trying to convince myself. I certainly don’t feel like the hare at all these days, much more so the tortoise. How does the off-season impact you? Does recovery mode take its toll on you like it does me? Convince me that this is a good thing. 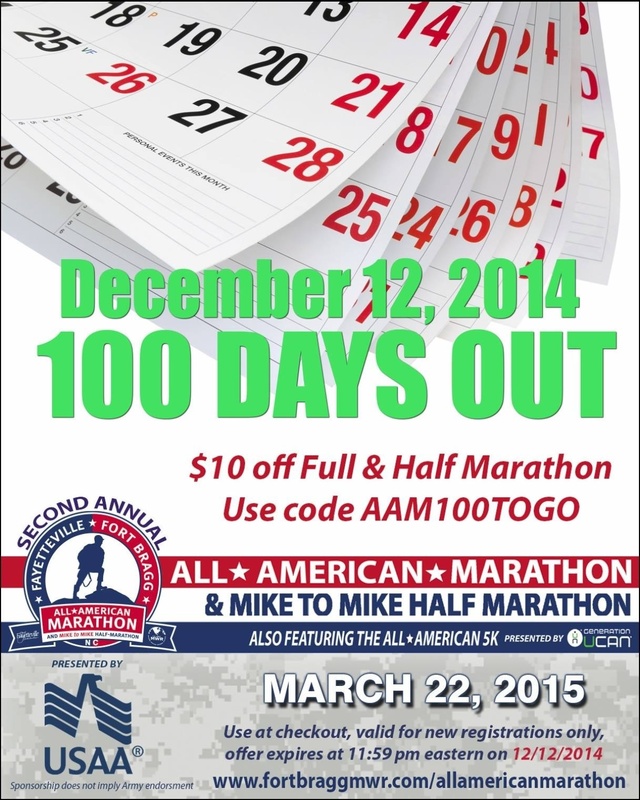 The All American Marathon and Mike to Mike Half Marathon is offering a one day $10 discount off registration today until midnight. I ran the inaugural marathon back in May this year, and had an amazing time! If you don’t remember, this is the race that I got to meet Meb Keflezighi at the finish and he signed my race bib and medal. Current registration fees for the marathon $90, and $80 for the Half go up on December 31st, so today is the perfect day to get in at the lowest possible pricing including today’s discount. This fantastic race is going to grow in size every year, and I couldn’t be more proud that this amazing race is so close to home. Act fast, and join me this coming March!